No two babies are alike they all come in this world with their own sleeping pattern. Some babies are born good sleepers while others need your guidance. But somewhere between the ages of 4 and 6 months, most babies get enough calories during the day to sustain them for five or six hours at night. Being realistic in your approach will help you during hard times. Remember with your help you can encourage your baby to develop healthy sleep habits. It will take more effort and time but it will happen and the rewards are endless. For a normal healthy weight baby by 6 months of age night feeding is not required. If you are unsure check with your doctor or maternal health nurse regarding your baby’s growth and age to determine if you should continue night feeds. In his book Solve Your Child’s Sleep Problems, Paediatrician Richard Ferber says unnecessary night feedings may actually cause sleep problems. According to Ferber, if a baby wakes up to eat several times during the night, a very wet nappy or digestive problems may cause them to wake up and then want to feed more, creating a vicious cycle. Paediatrician William Sears, emphasizes the benefits of night feedings for strengthening the bond between parent and child. Sears urges parents not to rush to night weaning as long as the feedings aren’t too disruptive to the family. If you’ve recently gone back to work and are less available during the day, your baby may want to feed at night as a way of reconnecting with you. And you may notice that your baby wakes up more often when he’s teething, catches a cold, or is going through a developmental leap. Remember that your baby is still young and has a tremendous need for comfort, closeness, and reassurance – particularly from you. I often hear “my baby is hungry through the night”. This may be the case and how do you tell if they are actually hungry and need their night feed? Firstly, if you notice their first morning feed they are not take a full feed, this is a sure sign they are ready to drop the night feed. A baby will self-regulate their caloric intake and if they have no feeds during the night they will take the necessary calories they require during their waking hours. No baby or adult sleeps consistently for 12 hours without intermitted wake ups. As adults, we have learnt to roll over, or get up to go to the toilet, and fall back to sleep. 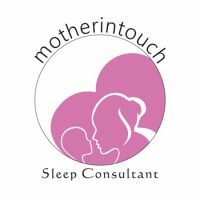 The aim is to allow your baby the opportunity to link their sleep cycles and to self-settle without your involvement. However, what is age appropriate and without doing a full evaluation of your baby and family’s situation this is a guide on how many feeds between 7pm and 7am to get the well-deserved sleep you both aspire to. Be sure your baby is healthy and has a normal healthy weight gain. Make sure your baby gets plenty to eat throughout the day. Offer extra feedings in the prior to bedtime. Avoid night-weaning during times of transition or illness. Have a plan of the times you will feed and gradually eliminate the feeds or reduce the volume, one at a time. Gently soothe and comfort your baby when they wake to feed, and explain that it’s time to sleep. 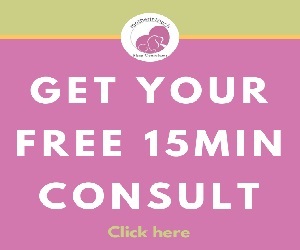 If you try to eliminate feedings and your baby cries inconsolably for several nights in a row, go back to your normal routine and try again in a week or two.